Another person who was on the bus that crashed south of Gisborne on Christmas Eve has died, bringing the toll from the crash to three. The bus was carrying 53 members and supporters on a fund-raising trip from Mailefihi Siu'ilikutapu College on Vava'u, Tonga, when it crashed. The group had been heading to Gisborne's Wesleyan Methodist Church for a performance. 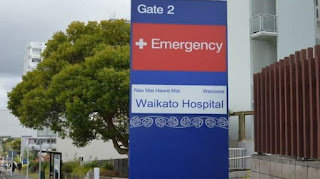 RNZ reports a Tairawhiti District Health Board spokesperson said it understood a 55-year-old woman, who was transferred from Gisborne Hospital the day after the crash, had died. A funeral for Talita Fifita, 33, and Sione Taumololo, 11, will be held in Tonga today. Hundreds attended a memorial service in Auckland on Tuesday for Sione and Ms Fifita. Both died when the bus crashed through a barrier in a remote part of the region on Christmas Eve. One of the organisers of the trip, Mele Suipi Fakatava-Latu, said one student was still in Hastings Hospital and four were in Middlemore Hospital. She said Waikato Hospital told them yesterday that the woman had died. "She was the one in the most critical situation and we received the word yesterday that she has also passed away. "She is the head tutor of the school and one of the leaders of the group when they came here." She said an 18-year-old boy who lost his leg in the accident remained in Hastings Hospital and was being helped by his teacher, who had been in the hospital but had since been discharged. "He's hanging around in Hastings just to be with the students and members of the Tongan community. "Church ministers and people there and the Tongan community are taking care of them." The third death from the accident brought the holiday road toll to 19.